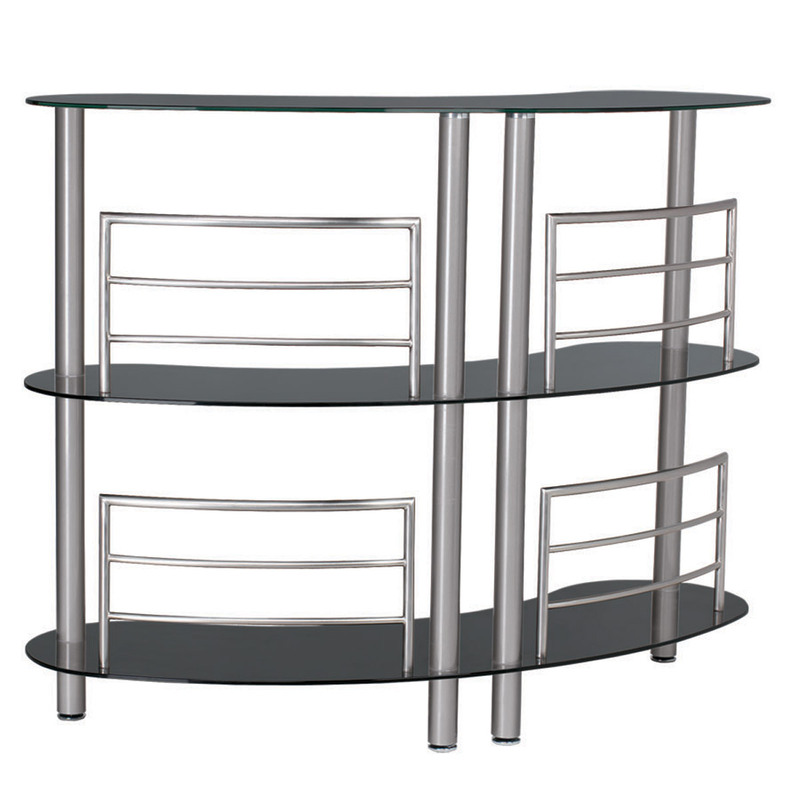 If you want to entertain guests in style, this Round Bar in Black Tempered Glass with Stainless Accents is the perfect addition to the home bar or game room. Having friends over for cocktails is a blast, and it is even more fun when you own your own bar. The design is sleek and modern. This modern home bar will help complete any contemporary decor. It is time to stop grabbing drinks from the kitchen cabinet and start displaying your style and sophistication.